Steep your every moment in classic glamour with the Goutal Etoile D’une Nuit Eau de Parfum Spray, a fruity-floral fragrance for women. In the final few moments before heading out for the evening, the Etoile D’une Nuit woman adds the final finishing touches to her look. A whirl of comfortable and sensual notes capture the stroke of a brush that gently applies her loose powder, infusing her complexion with the scent of makeup. A powdery cloud envelops her skin, while a coat of rich lipstick highlights her effervescent personality. A scent for a woman who knows that all eyes will be on her, an unmistakably elegant opening of iris will instantly fill the air with a powdery sweetness before a tender heart of blooming rose lends this Eau de Parfum a feminine sensuality. In the base, an intriguing note of raspberry rounds of Etoile D’une Nuit with a delectably candied feel, igniting this scent with a lingering sophistication and granting the wearer an infinite confidence. 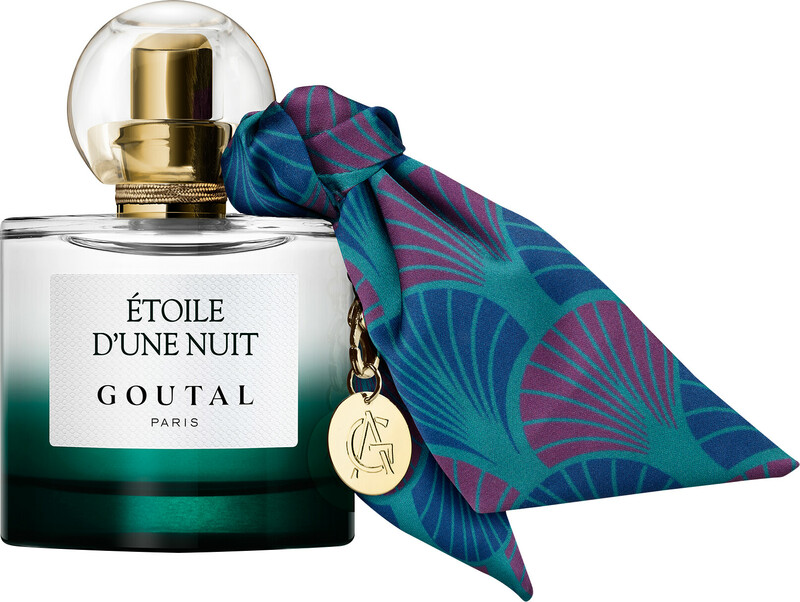 To us, this Goutal Eau de Parfum calls to mind memories of sitting at our mothers’ dressing tables, staring in awe at the beauty confections in front of us and wanting to try all of it! Refreshing and refined, it truly has a timeless edge that will suit all ages, occasions and outfits, and how can we not mention the opulent turquoise gradient bottle?! 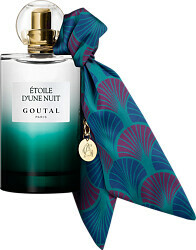 Featuring a beautiful silk scarf and a dainty gold chained charm embossed with the Goutal logo, we think that this will certainly take pride of place in your perfume collection!